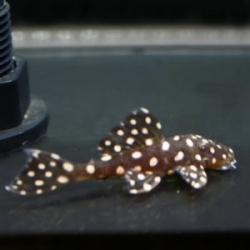 Ancistrus cf. 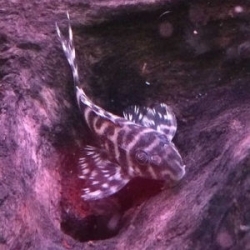 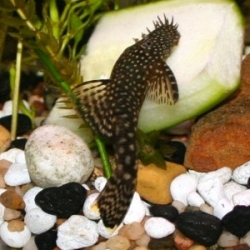 cirrhosis is also known more commonly as the bushy nose pleco or the bristle nose pleco. 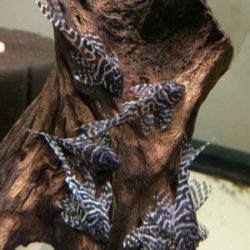 These Plecostomus are the perfect addition to a Discus aquarium, they will keep your driftwood and stones clear from any algae and will not touch your Discus at all. 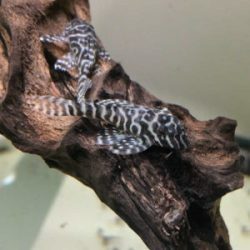 They like Spirulina Discs or any veggie rich food and occasionally we feed them zucchini and cucumbers and so can you. 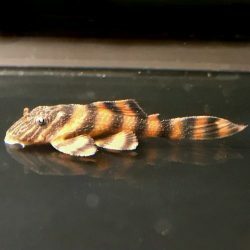 They are a smaller species, and they will not grow more then 4 – 5 Inches.